I played Ashen for the first time at E3 in 2017. Back then, in the Annapurna cubicle, I played a game that I thought would scratch that Souls itch I’ve had since I stopped playing Dark Souls 3. The demo featured a more reasonable co-op system than the game it was inspired by and also managed to introduce interesting lantern mechanics. What I was unable to notice then, as with many E3 demos, is that this was all the game had to offer. When I played Ashen again a year later at PAX East, it was the exact same demo I had played before. Once more, it gave me hope that the stamina-based combat system could be made even more interesting by indie developer A44. 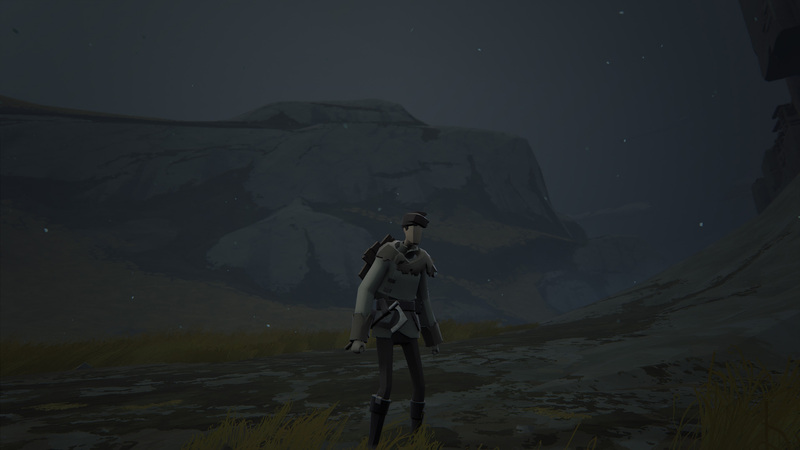 It wasn’t until I started playing the retail version of Ashen that the game’s shortcomings became obvious. 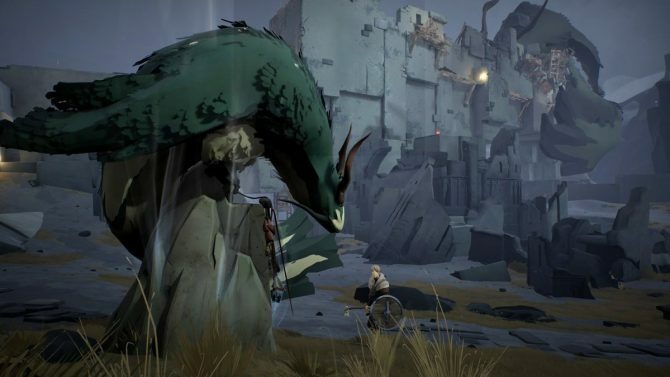 Ashen is–first and foremost–a tribute to Miyazaki’s Dark Souls. It attempts to mimic the dark and gothic atmosphere with a more Nordic one fixated on the idea of rekindling the world and protecting a raven that stems from the World Tree. While the world is being reborn, you must protect the fledgling light from creatures (bosses) who would seek to see the world trapped in eternal darkness. It’s different enough, I guess. The art style in the game is what stands out to me most. Every character is faceless, the land is shaded with a depressed color palette, and yet you’ll still find signs of life. As you complete quests throughout the game your hub world grows and the people there construct new buildings as they steadily offer you more and more rewards for your efforts. While the overworld looked nice, the inner workings of each cave and dungeon are what excited me about playing it. Going back to the lantern mechanic I mentioned earlier, certain enemies behave differently when exposed to the light. This means you’ll often have to forsake using a stronger two-handed weapon to maintain your lantern so that enemies don’t one-shot you (as they do in a certain early-game cave). The mechanics don’t stop there though. Your partner can hold a lantern while you focus on combat, or you could even place the lantern on the ground and try and keep your enemies within the range of it as you fight. It’s a combat system that feels challenging because it requires quick decisions on whether or not to go for a final attack or to cling to the light and be wary. 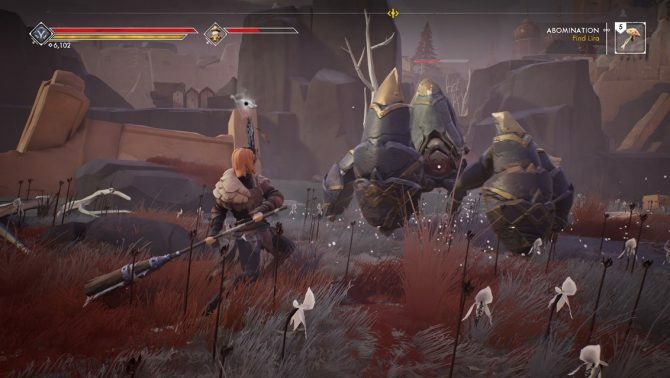 This light mechanic is incorporated heavily into the game’s bosses, but it’s the in-between that is so monotonous and frankly boring that makes Ashen such a drag. Dark Souls manages to excite you by placing items throughout the world. Some are traps that are just meant to lure you into getting ambushed, while some are hidden behind secret walls or fancy jumps. There’s a chance that whatever you acquire could be a weapon or a spell that completely changes the way you play. There isn’t any of that in Ashen. In the first few hours of the game, I had quickly filled my backpack with uninspiring one-handed axes that only varied in their damage, critical, and stun values. Their attack patterns and ranges were largely the same and so I stuck to one for most of my journey. This seems like a small element of gameplay but I never felt that anything I acquired would change my gameplay enough for me to care. Thus, stun-locking enemies with my light attacks and rotating around them with my shield up is what I did for the entirety of the game. The drop-in-drop-out co-op felt, at times, a lot sturdier than Dark Souls’ infuriating sign system and players would join and leave my session sometimes without me noticing. They were also able to pick up items in my world and collect currency. This meant that players were encouraged to play with one another, seeing as there was no downside. But again, that just meant having another person to swing a club or axe, or hold a lantern. Whereas in Dark Souls one person could be a healer, and the other a great shield-wielding tank. The system works and I think I enjoyed it more than Dark Souls’ co-op system only because the sign system in Souls’ games are designed to be frustrating. 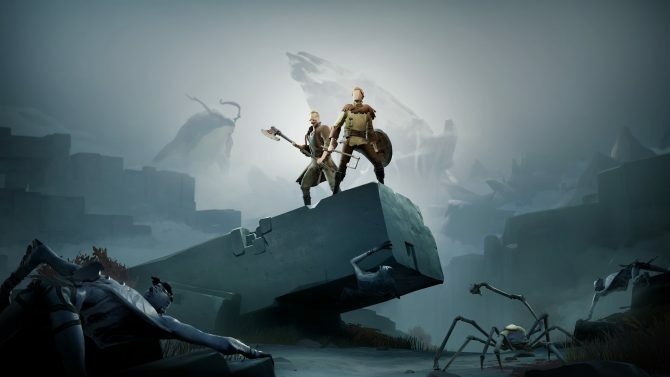 Ashen doesn’t go far enough in distancing itself from Dark Souls while providing a less-interesting experience. There wasn’t a moment in the game that I didn’t wish I was playing the real thing. Every time I saved at a bonfire–uhhh magic rock, or sipped on my Estus Fl–I mean Crimson Gourd, I wanted to be playing an actual Souls game. I was also plagued by Bloodborne-length loading screens throughout my time with the game. I was just forced to read the word “Ashen” for a minute or more on average. 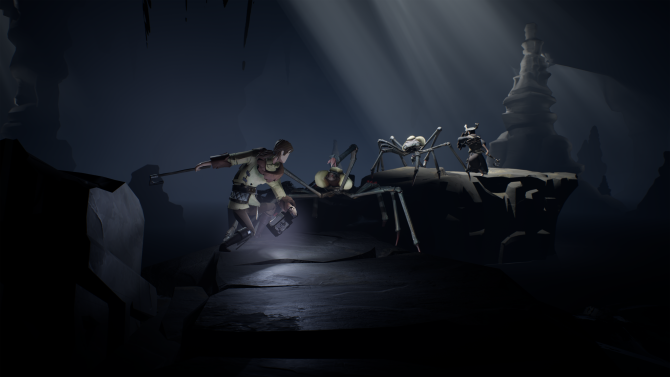 Ashen is a sometimes-pretty Dark Souls clone. Its systems are interesting but feel underdeveloped. I don’t know what went wrong with this one, seeing as it’s been in development for a really long time, but if it’s shown me anything, it’s that no one does Dark Souls better than FromSoftware. Now that the Souls trilogy has come to an end, there is a void of stamina-based combat games that must be filled, but it’s not going to be by Ashen. Ashen's Xbox One X enhancements and development process were discussed recently by A44's Character and Animation Lead and Lead Designer.